Bring your images to life with the LUCIA PRO ink range of professional inks for detailed and reliable results. This pigment-based ink system delivers a variety of deep, rich colours and sets your prints apart with outstanding photo permanence. 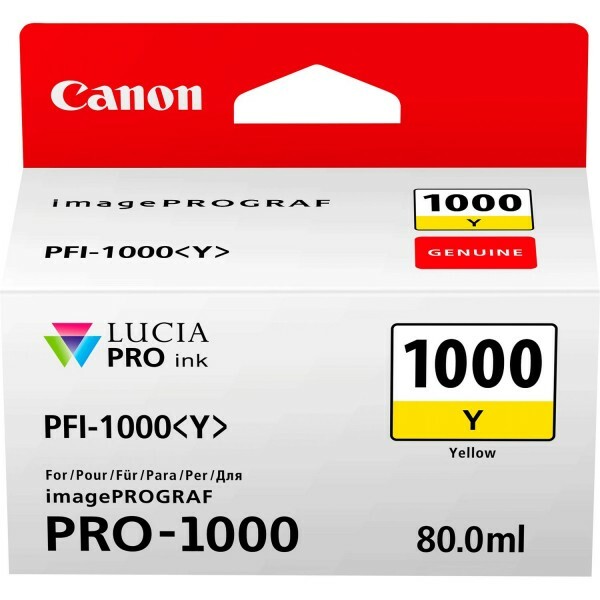 The 80ml yellow ink tank allows you to print up to 3365 photos in 10x15cm or 329 in A2 size.